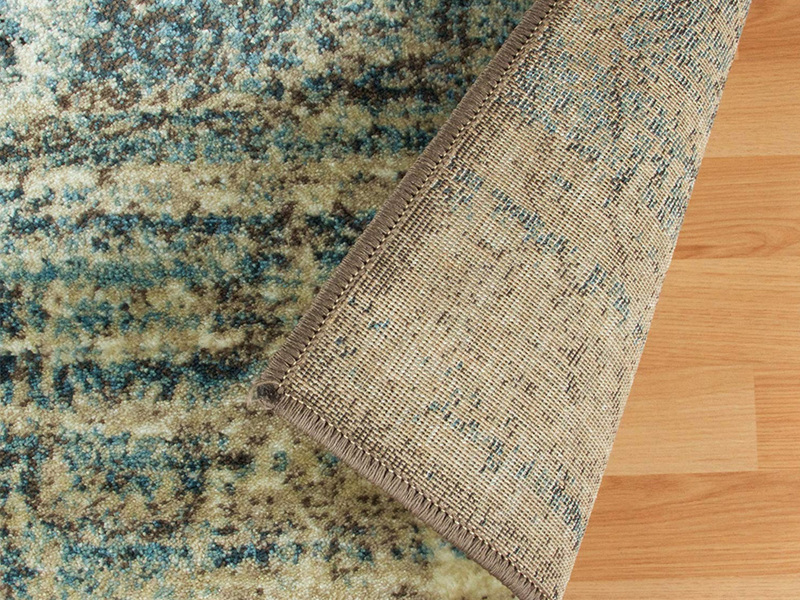 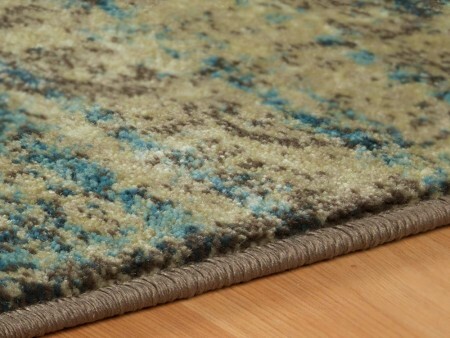 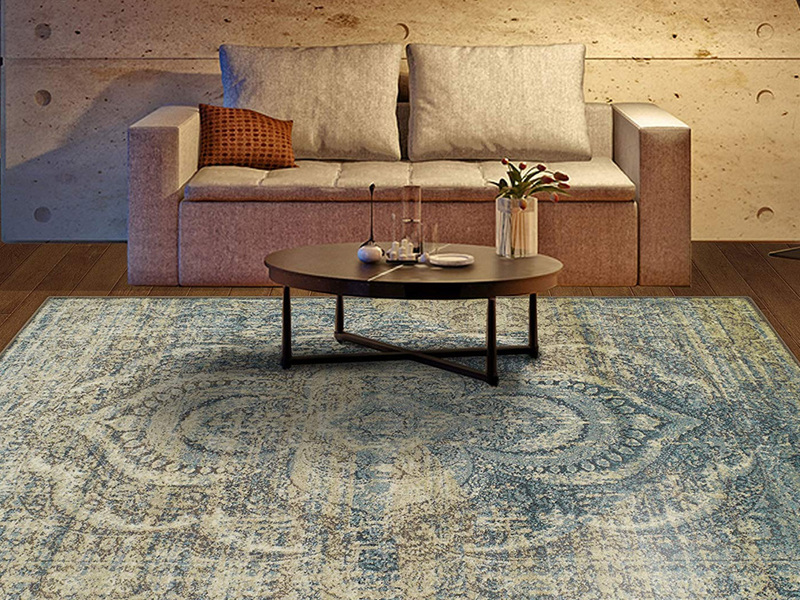 This high-quality rug is made with machine-made materials that are soft and plush. It has a very elegant design, a nice blend of ivory, grey and blues. 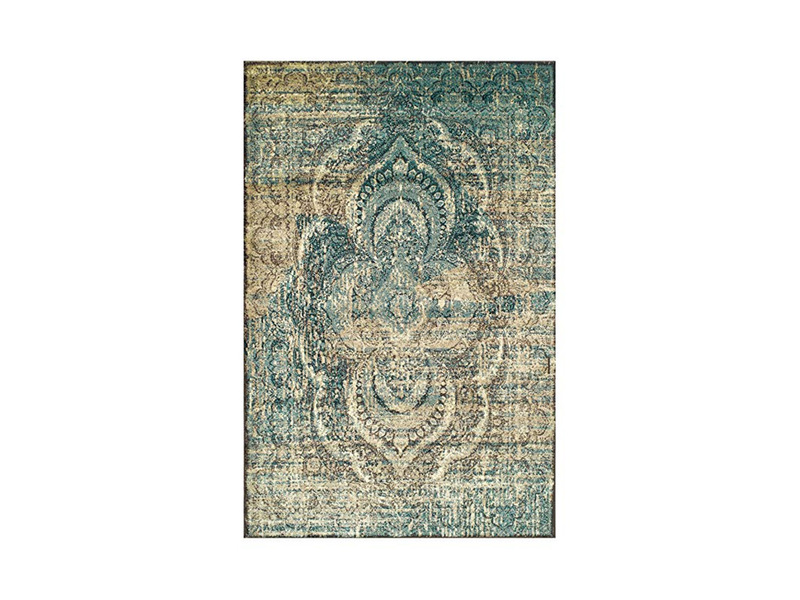 It will make for a perfect adornment to your living room or bedroom. Rent it with a Living Room or Bedroom Furniture Package to see its full effect.